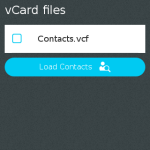 VCFPorter is a cross platform (exactly two platforms, web and FFOS, technically) for parsing and important contacts from a vCard. tldr; Check out the code here VCFPorter @ bitbucket, there are some bugs, and development will slow for a while, but file issues if you see any! The app is still under review, but hopefully will be through soon! Pretty much everyone that knows me has looked at my Flame phone at least once, and were surprised to learn that Mozilla even makes a phone. While most don’t see the point, it’s a great chance to explain to them why I’ve made my decision, and why I like the phone so much (sometimes that goes well, sometimes it doesn’t). Needless to say, I love the FirefoxOS Phone (and might be insane). 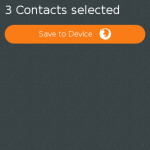 When I first got my Flame, FirefoxOS (v. 1.3) couldn’t import contacts from my vCard (.vcf) file on my SD Card. When I looked on the app store, I found exactly what I needed in the app vCardIn, but it sadly couldn’t handle the version of vCard that I was using. At that point, the realization hit me — If the app I wanted didn’t exist yet, I could just build it, and then it would! While most see a relatively-small ecosystem of apps as a pain, I saw it as an opportunity to have fun, build something relatively interesting, and contribute to FirefoxOS, so I did. When I was thinking of what technologies to use on the project, I remembered hearing/reading about EmberJS a while ago and really wanting to give it a try, so I put myself up to learning and using EmberJS to build the app. At the beginning, I tried to make the smallest-codebase solution I could, slowly rolling in (and being forced to roll in) things like RequireJS and Handlebars, but soon I switched over to using Ember-CLI (which is now the recommended way to use EmberJS). While it increased complexity quite a bit, it was well worth the switch, as things went a lot smoother after switching to using Ember CLI and I have not looked back since. Ember is a very rails-y. While most might like this kind of thing, I’m actually not a huge fan of rails, because I think it’s too heavy. After using Rails for a while (and doing migrations between Rails 2/3/4, I found myself feeling somewhat restricted and sluggish using Rails and I hoped that feeling wouldn’t be my experience with Ember. Luckily, it wasn’t. Though Ember CLI does a fair bit of “magic” to get everything to work together nicely, it’s not very much magic. so it’s actually fantastic. My opinion doesn’t count for a whole lot, since I’m relatively new and this app is a not huge or really complex, but I enjoyed using Ember (with Ember CLI) very much on this project, was a joy to have things Just Work™. As one might expect, I don’t have any bad things to say about FirefoxOS here. 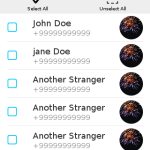 While there are some spots in the app that you can tell that one of the actions freezes the whole app, the experience is relatively speedy, and performs well. It was a breeze to make the app, and most of the complexity I faced was self-inflicted. This was a blast. 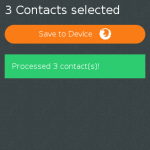 I’m releasing it with a few bugs, and a lot of enhancements that could be made, but I think it’s still a nice little app for showcasing how one can use EmberJS on FirefoxOS.